A selection of your pictures of Scotland sent in between 15 and 22 February. Send your photos to scotlandpictures@bbc.co.uk or via Instagram at #bbcscotlandpics. 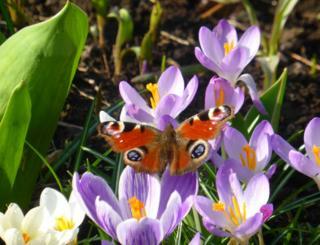 Image caption David Wilkinson, from Denny, said it "felt like springtime was almost upon us in Falkirk this week". 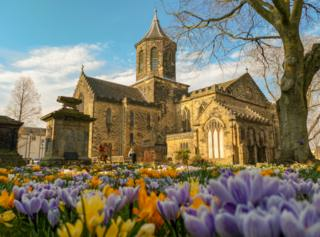 He took this picture at the Faw Kirk in the town centre. 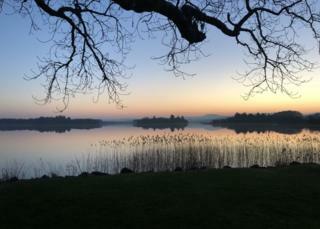 Image caption The view over the Lake of Menteith. Photograph by Colin Craig. 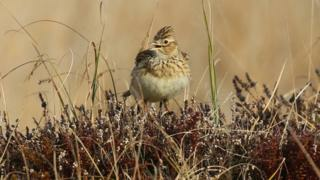 Image caption This Skylark was "singing beautifully" in Forvie, Aberdeenshire, according to Sue Haggerwood. She said it felt like spring was almost here. 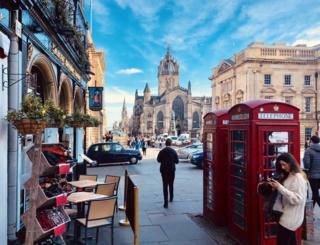 Image caption Marcos Monteferrante said he loved how this picture captured Edinburgh's vibrancy. 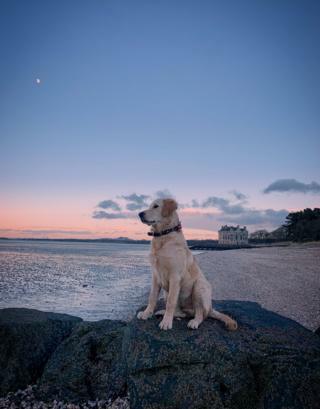 Image caption Niall Fraser, from Giffnock, said his dog was "enjoying the puppy life on the beach" near Barnbougle Castle, South Queensferry. 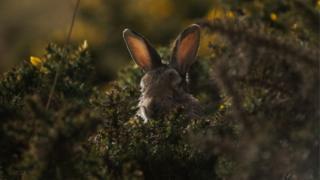 Image caption A rather drowsy rabbit in the gorse, captured by Patrick Keith from Edinburgh. He said he took the picture on a family beach walk at St Cyrus, Aberdeenshire. Image caption Ian Wilson could not believe it when he spotted a Peacock butterfly in February in the garden. 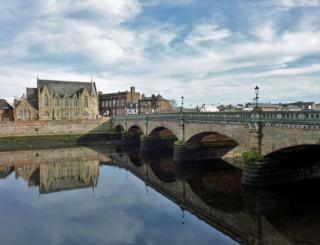 Image caption Dave McLaughlin enjoyed a sunny stroll in Ayr on Sunday morning. 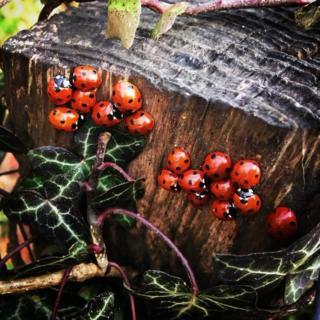 Image caption Leigh Titterington and her daughter Sophie, from Clackmannanshire, found lots of ladybirds on the way to school. She said they had never seen an orange one before. 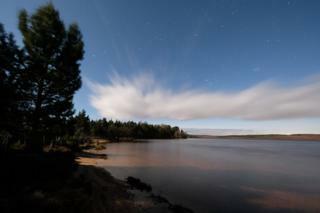 Image caption This picture of Lochindorb at midnight was taken by Steve Smirthwaite from Nairn. 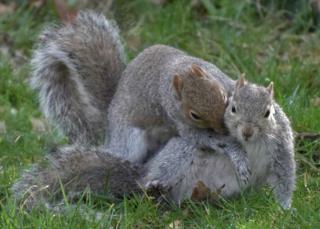 Image caption Jim Murdoch, from Knightswood, Glasgow, named his picture of two squirrels in his garden "Give Us A Cuddle". Image caption Spring has sprung in Cardross, West Dunbartonshire. 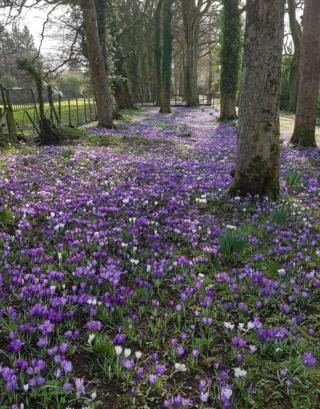 Paul McMartin took this picture of a field of Crocuses. Image caption A rainbow, seen from the Loch Seaforth on the way to Stornoway. 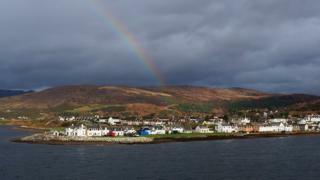 Jonathan Duckworth said there is a pot of gold somewhere in Ullapool. 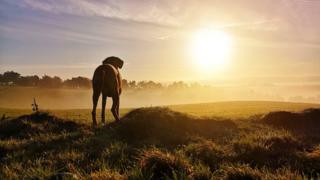 Image caption James Williamson, from Bathgate, West Lothian, took this picture of his dog Isla on a sunrise walk. 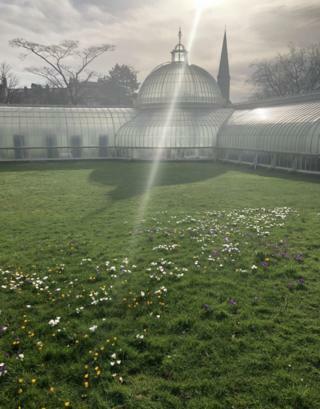 Image caption Colin McCormack said his visit to Glasgow's Botanic Gardens was blessed with some wonderful spring light. 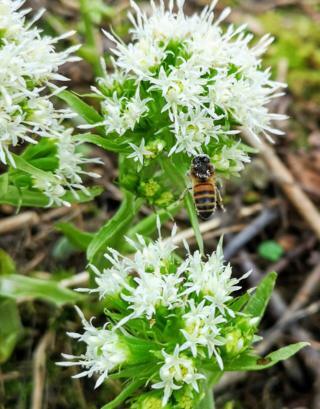 Image caption Lynne Angus took this picture in Urquhart Bay Woods, Drumnadrochit, of the wild garlic flowers being pollinated on the lovely spring-like day. 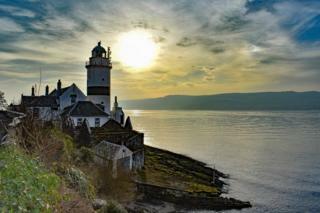 Image caption Helen Baird, of Greenock, sent in this picture of the Cloch lighthouse near Gourock. 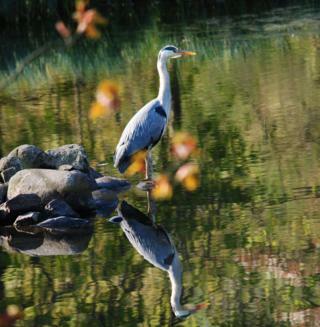 Image caption Ziad Al-Ani captured this beautiful picture at Kelvingrove Park of a grey heron. 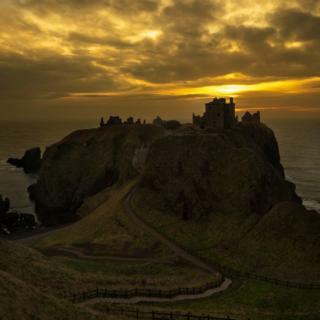 Image caption Dunnottar Castle at sunrise, taken by Bob Wilson. 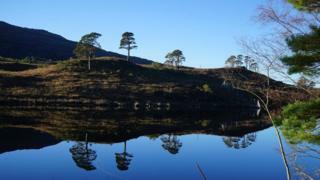 Image caption Sandy MacVarish, of Lochcarron, said he was in a reflective mood when he visited the area near Shieldaig, Wester Ross. 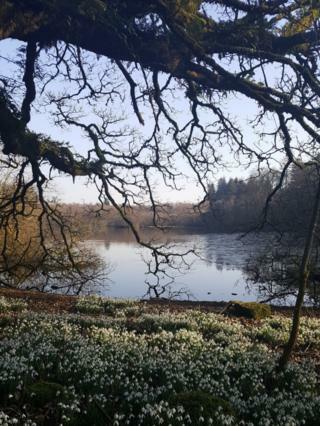 Image caption A view of a snowdrop field taken at Mugdock Country Park, taken by Estelle Henderson from Milngavie.